HO CHI MINH CITY, Vietnam (May 19): Gamuda Land is looking for land in the northern region of Ho Chi Minh City (HCMC) in Vietnam such as in Gò Vâp District and District 12, as well as District 9 in the southeast region, said Gamuda Land HCMC general director Wyeren Yap Vooi Soon. “With the sustainability of our Celadon City township development and with its name well established now, the management believes that it is time to explore new landbank in HCMC, especially in the northern region where we are more familiar with,” Yap told reporters during a group media interview session on May 16 in HCMC. 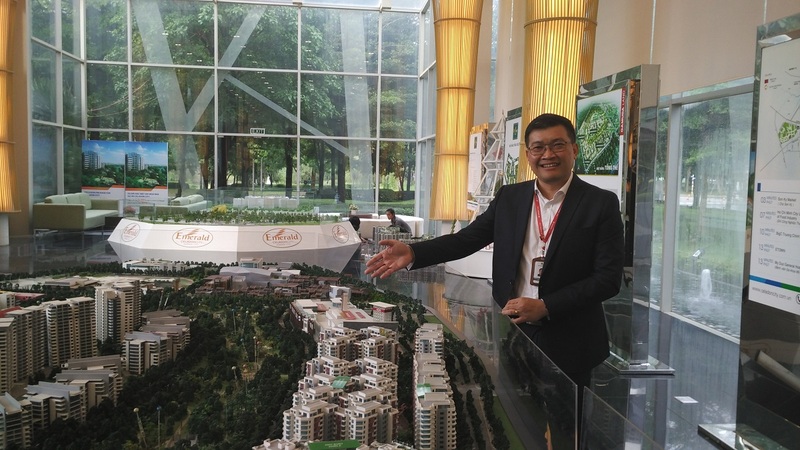 He noted that the management prefers land in the northern region such as in Gò Vâp District and District 12, as the southern region is very competitive with many prominent developers like CapitaLand and other local players present there. “We are even looking at some land in District 9, which is a bit far from our base in the northern region, but with the latest initiatives from the local government to improve the infrastructure in the district, there could be some potential there for us to explore,” he said. “If we spot any good land, I believe the management will not hesitate to acquire them, given the positive outlook for Vietnam’s economy,” he continued. Gamuda Land’s 82ha Celadon City integrated township is in the Tan Phu District. It boasts 16ha of green and landscaped areas. It has a remaining GDV of some US$700 million to be developed in the next few years. About 85% of it will be for apartments while the balance will be retail lots and officetels. Celadon City has contributed a revenue of about US$100 million to the group in its financial year ended July 31, 2016 (FY2016). For FY2017, Gamuda Land hopes to raise Celadon City’s contribution to US$110 million. Yap said the company is confident of achieving the target as sales are on track as of QFY2017. Its upcoming launch in June will comprise 398 apartment units with built-ups ranging from 60 sq m (646 sq ft) to 180 sq m 1,938 sq ft), located in the Emerald Precinct. Meanwhile, the developer has also sold a 3.5ha site in the Sapphire Precinct of Celadon City to Aeon Mall Tan Phu Celadon. The mall, which is already operating on the site, will be expanding from a gross floor area of 800,000 sq ft to 1.6 million sq ft, making it the largest shopping mall in the country. “The Aeon Mall is doing very well with some 30,000 visitors on weekdays and 90,000 visitors on weekends,” Yap said. The mall is approximately 95% tenanted with around 250 brands. “It will be something like Mid Valley Megamall once it is expanded,” he added. This story first appeared in TheEdgeProperty.com pullout on May 19, 2017. Download TheEdgeProperty.com pullout here for free.